What is the difference between hand-made and machine-made matzah? Since the Exodus, Jews have zealously carried out all the fine details concerning the baking of the matzah, whose method has remained basically unchanged for all those years. Careful and agile hands have performed each process from making the dough until the baking was complete. About one hundred and fifty years ago, a machine was invented for baking matzah. Most of the processes were done by this machine, and the matzot were untouched by human hands. The rabbinical authorities at that time and afterward were divided in their opinions as to whether matzot baked by machinery should be permitted on Passover. Those who rejected using machine matzah agued that when making matzah we must be fully conscious of the fact that we are performing a mitzvah. A machine has no such intention. They also claimed that the intricacy of the machinery makes it impossible to ensure that no pieces of dough remain in the apparatus that would render the matzah chametz. Furthermore, the fast-moving metal parts of the machine generate heat that might cause the dough to ferment. Also, the time limit for the process of making dough that has been handed down to us by tradition is specifically regarding hand-made dough. Since we have no such tradition regarding the time limit for machine-made dough, they claimed, we have to take a strict view and retain the original method. 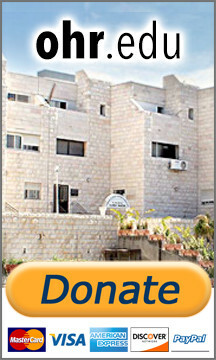 Those in favor of using machine-baked matzah — and they are in the majority — argued that since it is baked more quickly, there is less of a danger of it becoming chametz than when the work is done by hand, providing that special care is taken to ensure that the parts of the machinery are kept clean and that no pieces of dough remain which could be transferred from one batch to the next. In addition, they produced counter-arguments to all of the above claims so that their opinion has finally generally been accepted as correct and is followed by many who fulfill the mitzvah on Passover by eating matzah that has been baked by machinery. However, there are still many meticulous Jews who take great effort and expense to eat only hand-made matzah for the whole of Passover. 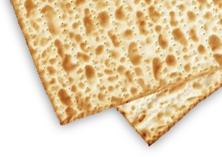 And even among those who don’t eat only hand-made matzah, many are careful to use it to fulfill the special matzah-eating on the first night of Passover at the Seder.